Olivia is a Manager for the Bridges Impact+ team, focused on the Impact Management Project. She specialises in helping financial institutions, investors, corporates, policymakers and entrepreneurs design and enhance their impact measurement and management practices, working across multiple geographies and diverse strategies. Prior to this, she led Bridges’ impact management strategy internally across all fund types (growth equity, social impact bond, social businesses and and property), which included developing and implementing tools and software for investment selection and impact accounting. 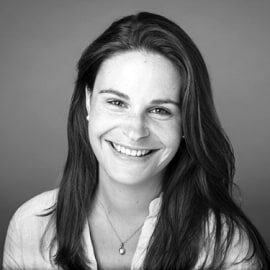 Before joining Bridges, Olivia worked for CDC, the UK’s Development Finance Institution, assessing and measuring the development impact of their investments across Africa and South Asia. She also supported the DFID Impact Fund in the initial stages of its strategy to make impact investments benefiting the poorest people in developing countries. Olivia has an MA in International Relations from King’s College London, and a BA (Hons) in History from Durham University.